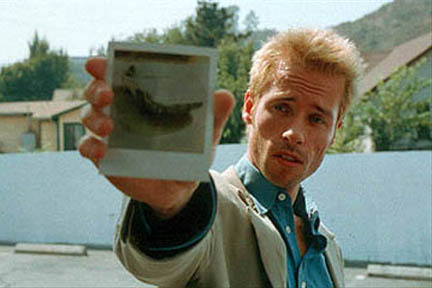 Leonard (Guy Pearce) is tracking down the man who raped and murdered his wife. The difficulty, however, of locating his wifes killer is compounded by the fact that he suffers from a rare, untreatable form of memory loss. Although he can recall details of life before his accident, Leonard cannot remember what happened fifteen minutes ago, where hes going, or why.